Dowel bars are corrosion-resistant by Fusion bonded Epoxy powder applied as per ASTM A775/775M-07b for concrete structure, which is resistant to Acid, Alkali, especially the Chloride (mainly for Salt). The excellent corrosion resistance of stainless steel rebar and dowel bars eliminate the risk of structural damage due to rust and the costly refurbishments that can arise as a result. 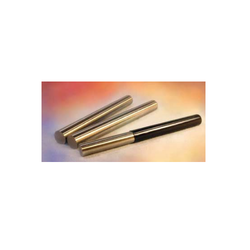 Dowel bars are normally made from plain round steel. They are cast or drilled into concrete and are used to transfer loads across joints in concrete. In applications where movement is expected, the dowel bar is cast in one side and de-bonded in the other side of the joint. We request you to float us your regular requirements to enable us to quote our most competitive price to you. Looking for Dowel Bars ?